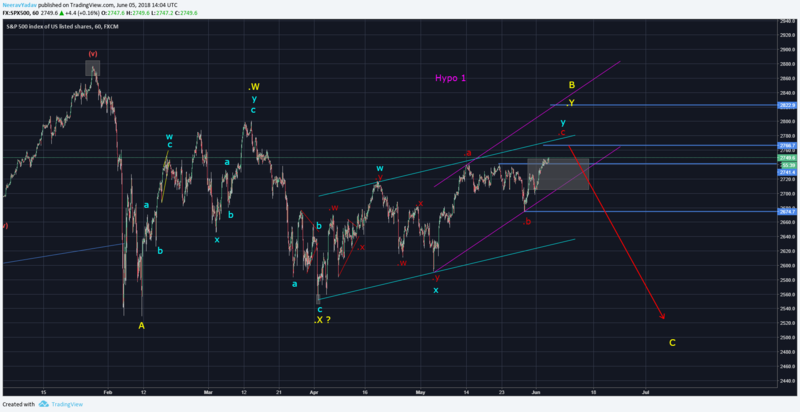 As per the Bearish Count below it looks like we are in last leg up of the complex correction for the completion of Wave .Y (Yellow) once the same is done which should be confirmed by a break of the Pink channel to the downside we can see a huge leg down which can take SPX (Index of US Stock Markets) to the 2530 levels or even lower. Bearish sign : Break of channel to downside. Expected targets : 2530 and lower. Stop loss : Swing High once the same is formed. 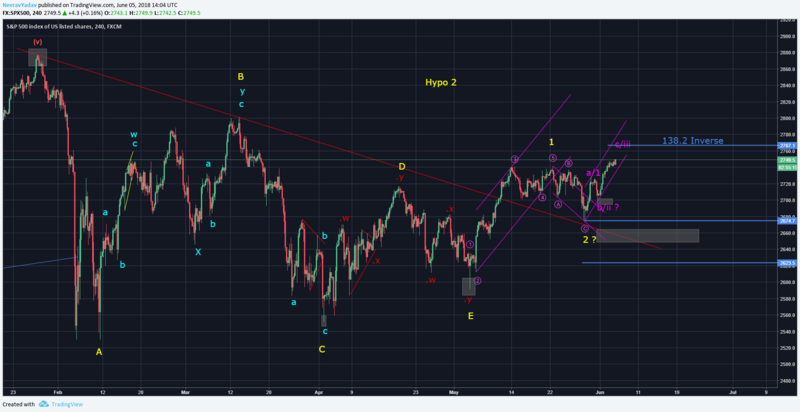 The bullish count below which I’m considering a low probability count for now suggests that SPX completed a Triangle structure near 2592 and has now stated forming Impulse to the upside and is currently either in Wave 2 (Yellow) of this Impulse to the upside or has started the Wave 3 already, if this count is the one playing out then we should see a sharp leg to the upside which should be fast enough to be distinctively identified.